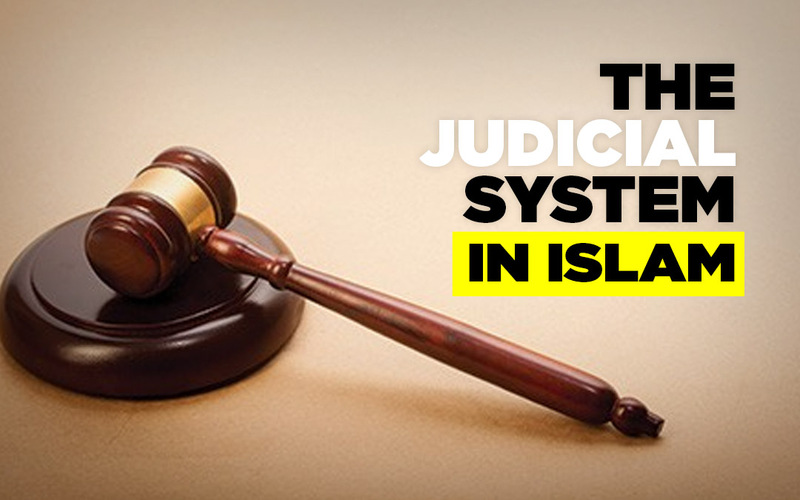 The judicial system in Islam is a system for deciding between people in litigation with the aim of settling their disputes in accordance with the injunctions of the Divine Law, injunctions that are taken from the Quran and Sunnah. The jurists agree that the duties of the judge are an obligation that must be carried out by society. If some members of society carry out this duty, it is sufficient for everyone. If, on the other hand, everyone neglects it, then everyone in society is sinful. It is only necessary for a small number of individuals to perform judicial duties since judicial concerns come under the broad duty of enjoining what is right and forbidding what is wrong. It is not obligatory for every individual to carry out this duty as long as some people are doing so. The duties of the judiciary include enjoining what is right, helping the oppressed, securing people’s rights, and keeping oppressive behavior in check. None of these duties can be performed without the appointment of a judiciary. A judicial system is a necessity for the prosperity and development of nations. It is needed to secure human happiness, protect the rights of the oppressed, and restrain the oppressor. It is the way to resolve disputes and ensure human rights. It facilitates enjoining what is right, forbidding what is wrong, and curbing immoral behavior. In this way, a just social order can be enjoyed by all sectors of society, and every individual can feel secure in his life, property, honor, and liberty. In this environment, nations can progress, civilization can be achieved, and people are free to pursue what will better them both spiritually and materially.